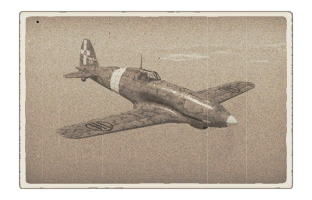 The C.202 Folgore is a Rank II Italian fighter with a battle rating of 2.3 (AB/RB/SB). 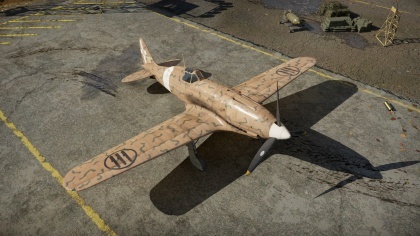 It was introduced in Update 1.69 "Regia Aeronautica", though a variant existed in the German tech tree prior to the update. The C.202 is an Italian fighter which is best suited to attack other fighters and unsuited to be used as a fighter bomber due not being able to carry bombs or rockets. The advantages of the C.202 are the combination of good speed, very good rate of climb and rate of roll. Furthermore, it is fairly sturdy, being able to take a few hits and get back to base without many problems. The C.202 is a fairly speedy turner, preferring to turn at speeds, However, flat out turning is a bad idea at low speeds, unless you abuse the rate of roll to get into an advantageous position. A major issue the C.202 has is that its damage output is low: It needs extended bursts of fire to deal decent amounts of damage. Furthermore, the Breda SAFAT's damage potential drops off when its fired at ranges above 300 meters. The poor armament also makes it less than optimal at engaging bombers and heavy fighters. The consensus by the community is that the best belts are Anti-Air, Tracer or Stealth for the 12.7 mm's and Stealth and Universal for the 7.7's. these seem to do the most damage. While this is crippling at times, it is something to keep in mind. ??? ??? ??? ~?? ~? The first most important thing the C.202 needs is Speed and Altitude. It is generally a good Idea to climb to at least 4-5,000 meters before levelling out and gaining speed. From there on, its Boom & Zoom, working your way from Top to bottom. Priority should be given to P-39 Airacobra's, Hellcats and Spitfires, as these are difficult opponents if they are allowed to engage on their terms. The Hellcat is a considerable problem for the C.202, due to the fact it is considerably faster and climbs fairly well. The best way of dealing with them is to fight them at speeds above 400 kph, where the Hellcat begins to stiffen up, but you retain your very good roll rate, which you can use to spoil his gun solution by constantly changing direction. While diving on your chosen target, be mindful of your speed, the C.202's rate of roll, becomes considerably worse when you hit 600 kph. However, the elevator remains functional up until around 700 kph, and the rip speed being passed 800 kph. When trying to lead an enemy plane that is making a hard break turn, try to prevent making high G turns or turns that burn a lot of speed, as this rapidly bleeds speed, forcing you to engage in a dogfight where your mediocre low-speed manoeuvrability can offer an advantage to the enemy. While dogfighting is very much possible against some planes, it is advisable to run by going into a shallow dive. Climbing is a possible alternate strategy, the rate of climb is one of the best at its BR, meaning that if you have a small speed advantage you can get some separation and climb away. The weak guns make the C.202 unsuited to effectively engage bombers, especially well defended ones such as the B-25 and the A-20. It is better to join up with your teammates and then try to attack them together if possible. Aim for the engines and wings, engaging them through Boom-and-Zoom tactics. The C.202 is unable to carry bombs, rendering it unable to be used in ground attack. Tracers, Anti-air or Stealth belts are recommended as they deal the most damage, with a good mix of incendiary and shrapnel. The Breda-SAFAT's shell velocity is low and suffers above 400 meters range, so only fire at or below that range for best effects. Furthermore, the armament is inadequate to deal with bombers. It is best to avoid them entirely or focus on taking out the engines. The only exception is the very early biplane bombers, such as Swordfish, Po-2 and the likes. The Folgores focus on energy fight should be reflected in the desired grind strategy. Compressor & Engine are the top priority. Boosting the acceleration and climb to the maximum needed for most situations. The next upgrades are free to choose for you. New belts are always nice, but the default ones are decent. Engine throttle as of now has no impact on performance. Good roll rate under 600 kph. One of the best rates of climb at its BR. Decent performance on all altitudes. Decent cockpit visibility, especially to the rear. Decent energy retention in horizontal turns. Firepower leaves things to be desired. Thick canopy framing can make spotting hard from the cockpit view. Armament is weak, may take many passes to kill heavy fighters and bombers if you have bad aim. Extreme instability when using rudder turns and at low speeds in SB due to asymmetrical wings. 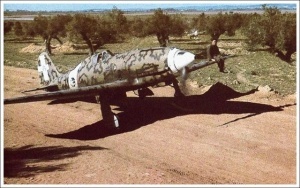 The famed Italian ace Maggiore Adriano Visconti flew the Folgore, including the predecessor Macchi C.200 Saetta and the successor Macchi C.205 Veltro. In late 1941 the newer and deadlier Macchi MC.202 Folgore (Thunderbolt) began to equip units of 7° Gruppo, and in early 1942 Visconti began flying the sleek, new fighter on photo reconnaissance sorties over Malta. Throughout these early years of the war, a near constant trickle of supplies was required to keep the strategically vital island of Malta alive and in allied hands: mid-June 1942 saw two of these convoys simultaneously attempt to resupply the island from different directions. Operation Harpoon – a convoy from Gibraltar – was coordinated with Operation Vigorous from Alexandria. Both convoys were opposed by axis forces and on June 15th, in the air battle above Operation Harpoon which would become known as the Battle of Pantelleria, Visconti shot down a Bristol Blenheim. On August 13th, whilst on a two aircraft reconnaissance sortie, Visconti and his wingman were jumped by four RAF Spitfires. Visconti engaged and shot down two Spitfires, allowing the second M.C.202 to complete the sortie. He was awarded another Medaglie d’Argento for his skill and courage. Visconti served in Greece before being promoted to Capitano and taking command of 76a Squadriglia as 54° Stormo was deployed in Tunisia in March 1943. In the brief weeks of fighting which led up to the axis surrender in May, Visconti was credited with two Spitfires and a P-40, as well as several other probable victories. Sharing a cramped cockpit with a fellow pilot, Visconti escaped the allied advance by flying to Sicily. Given his wealth of experience carrying out high speed, daylight reconnaissance flights over Malta, Visconti was given command of 310a Squadriglia Caccia Aerofotografica, a newly formed reconnaissance squadron equipped with modified Macchi C.205 Veltros (Greyhounds) which were based east of Rome. Visconti remains a controversial figure due to his political alignment with Mussolini's Italian Social Republic. 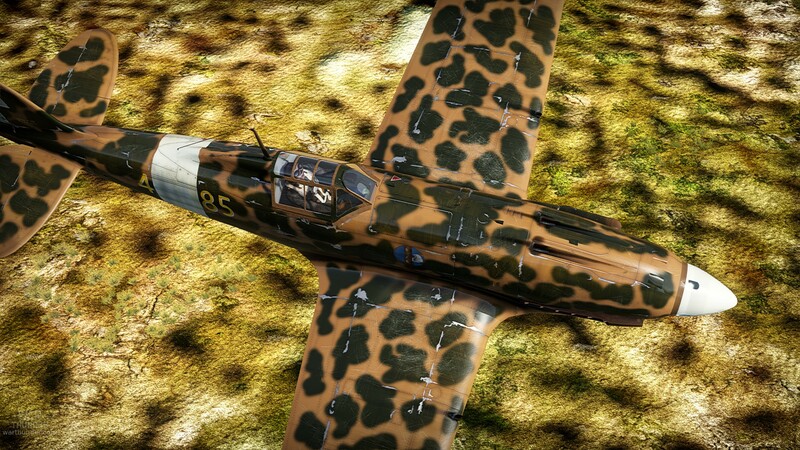 [Profile] Ace of the Month - January - Maggiore Adriano Visconti from the War Thunder official forum. ↑ An excerpt from Ace of the Month - January - Maggiore Adriano Visconti, written by Mark Barber, War Thunder Historical Consultant alias Wafu Vasco. This page was last edited on 5 February 2019, at 11:34.